With less than a year to departure for Heard Island, the technology team has been hard at work building the IT infrastructure for the expedition. The expedition needs a space where team members can easily get together, exchange information and transfer their knowledge, and plan for the upcoming activities even though the on-site and off-site participants may be on different continents. This virtual island in the cloud will host conference calls, forums, and a file repository which synchronizes to desktop and mobile devices alike. So, why build our own servers rather than just using tools that are available already, like the various Google applications? With our own cloud, no team members will need to pay for premium versions, or use precious quota space on a personal or work account. Also, Heard Island doesn’t have good internet access, and with our cloud documents hosted on a virtual machine, we can just copy it all onto a physical computer that comes to the island. The planning documents and conversations in the virtual space will be available on the island in just the same form that they were available in preparation, and discussions on-island can be continued in the same space (synchronization with the off-island cloud will likely be lost). Jack Burris (K6JEB) and Mike Coffey (KJ4Z) led the construction efforts, with additional support from a number of other team members. The team created purpose-designed virtual machines, arranged web hosting, and pointed the DNS servers to the right place. At its heart, the system is a LAMP server (Linux-Apache-MySQL-PHP). On top of that is a forum (PHPBB) for internal discussions, as well as cloud storage (Owncloud). 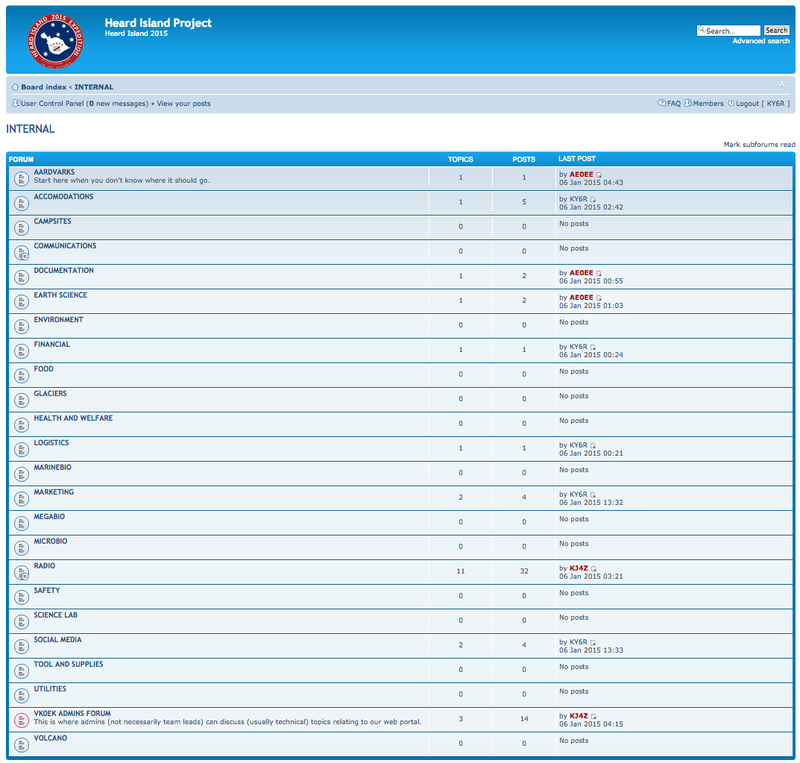 These servers can also host a public-facing forum and blog. Appropriate server sizes were determined and peak loads were estimated, to make sure that the servers will be able to handle the anticipated high-traffic events. Stay tuned for more details on the technology behind the expedition, where the tech team is working hard to make sure the Heard Island expedition will be in the cloud.